A little over a month ago, I mentioned that after a somewhat lengthy hiatus from homebrewing due to personal time commitments, etc, I was itching to get back on the horse, or more accurately, back to the brew kettle. Well, true to my word, a few weeks later I was knee deep in malt and fretting over my hopping schedule. It was glorious, and turned out to be one of the most enjoyable Friday nights I’ve had all year. The answer to both those questions is, not surprisingly, “Yes”. I have to admit that as my date with the boil approached, I found myself both as excited as a grade-school kid on field trip day yet also as fearful as someone trying to conceptualize an audience in their underthings for their first public speech. I knew what to expect and was looking forward to getting the boil rolling, but Oh, My! the number of things that can go wrong is unnerving. What if the steep was too hot? What if the wort didn’t cool fast enough? What if I couldn’t prevent the dreaded boil over and my wife demanded a new kitchen the next day? What if I couldn’t manage it all alone; I’d never done it just by myself! Clearly, the only appropriate response to such an avalanche of what-ifery was the application of the Papazian Rule: Relax, Don’t Worry, Have a Homebrew. Sadly, lacking any homebrew at the time (which is the point of this, duh), I had to make due with something store-bought. Thankfully, though, I generally have a lot more options than when Mr. Papazian coined that phrase decades ago. At any rate, beer in hand and suitably relaxed, I went about the tasks necessary to produce my batch of Rusty Nail. All was well. It was just as I finished that night, wort cooled, yeast pitched, and kettle cleaned, that I recalled something I’d been told earlier that week. 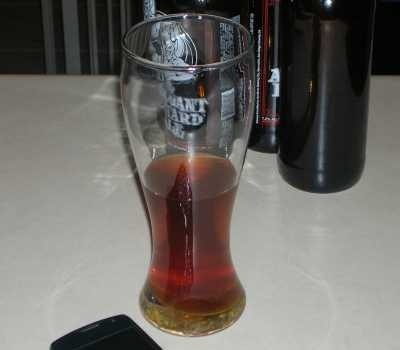 I’d been describing the beer I hoped to make to someone, and he said he couldn’t wait to try it. I replied that I’d be happy to offer a sample, if I didn’t totally screw the brew and end up with five gallons of something resembling fish sauce that couldn’t even go down the sink for fear of EPA reprisal. He told me that things would no doubt go well, because surely it was just like riding a bike: one might be out of practice, but you never truly forgot. Turns out, he was absolutely right. I bottled that batch of Rusty Nail last night, three weeks later, and found myself pleased with the process. Everything tastes, smells, and feels pretty much as it’s supposed to, and I’m looking forward to seeing (read: tasting) how it comes out after developing some carbon dioxide in the bottles. Still, I know people who wonder at the patience necessary to commit to such a hobby. How can you wait another week after waiting so long already? The thing for me, though, is that I like that it takes so long. The modern world is zip, zip, zip, go, go, go, don’t stop moving or you’ll die. We get irked if an oil change takes more than 10 minutes, and most of us are looking for a new PC with a faster boot sequence because that 20 seconds out of our day is just a killer. I think most of us could use a little slowing down sometimes, myself included, and making beer is the perfect tonic for the high pressure ailments of life. Yes, it requires patience, but then again, all that waiting will hopefully, eventually, lead to well-earned rewards. I tasted my young, green beer last night, and I know from experience that it tastes pretty much how it should at this stage. I’ve come this far and not screwed it up yet, and we’re now down to the home stretch. If I didn’t ruin it last night, a week from now I’ll be sipping it proudly, reveling in nearly a month’s worth of my own labor. The thought made me grin happily in anticipation. A return to home-brewing: Achievement Unlocked. PS: Looks like my beer’s about ready. 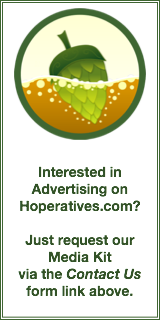 So who’s ready for a Hoperatives Homebrew event? Anyone busy in the middle of May? Week of May, 20th, perhaps? Who’s in? Pud’n – Do yourself a favor and wait 2 weeks for that full carbonation to happen. You won’t be sorry. I know it is hard to do, especially after a few weeks of it just sitting there, waiting, fermenting, yearning to be drank. WAIT the extra time and keep them in a warm place to allow them to carbonate quicker. I knew it would turn out just the way it should. Now that you’re back in the game, what’s next? As per the get together – I don’t have anything planned out that far, so it’s free as of now. That means my IPA would be bottled for just under a month by then and the barley wine, being bottled a month and a half before, may be at least taste-able by then. I like the idea of a homebrew get together that’s not club-related. The closer to downtown or NKY the better I say. I agree. I can do pretty much anything, but I’m in Walnut Hills so obviously closer to the river is better than not. Sounds like fun. I’ll mark it on the calendar. Maybe even start something just for the occasion. I’ve always wanted to have a homebrew beer fest like the Cincy Beer Fest or Beer and Sweat but for us average joes. It’d be sweet to have tables set up so you can bring your own tasting glass and sample everybody’s brews. Having a local band play would be even better. Or it could just be a small meet-up if there’s not as much interest. If I’m able to make it I will have a blonde APA, Irish stout, hefeweizen, and maybe Citra pale ale available to share. Bloat Open is May 21st. A lot of homebrewers will be there. I’d love to try homebrew with hoperative folks, but may 21 is a busy time… homebrew buddy is getting married. Can we shoot for some time in June possibly? Oh, and Pud’n, if you don’t want to wait a week or 2 after bottling it to enjoy, do what I do…always have a brew in bottles a brew in secondary and a brew in primary. That way you always have beer! I would love to participate in a homebrew tasting in May! 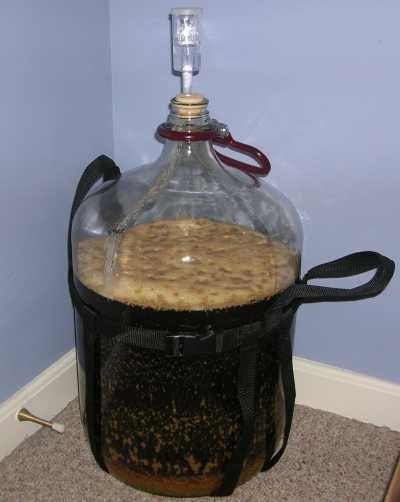 I have 15 gallons of homebrew in the primaries, as I type!!! Previous PostPrevious We’re Taking It Back!! !